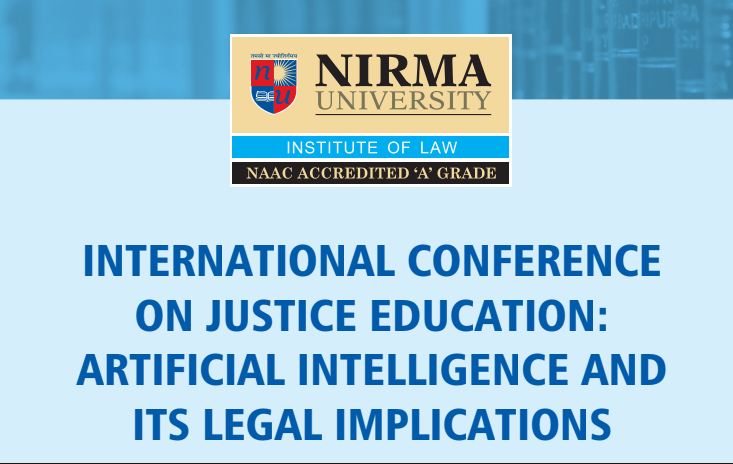 Institute of Law Nirma University is organizing an International Conference on Artificial Intelligence and Its Legal Implications. The conference is being organized in collaboration with The Advanced Centre on Research, Development and Training in Cyber Law & Forensics, NLSIU Bengaluru, Cyril Amarchand Mangaldas, Centre for Internet and Society Access to Knowledge, Infinity Law- Tech Educational Services and Saarthi. To deepen understanding of artificial intelligence, papers are invited, with an opportunity of publication, rewards and participation certificates. Queries can be addressed to ilnu.conference@nirmauni.ac.in. The call for papers can be accessed here.